Justin Ishmael has an exciting line up of exclusives set for release this weekend at Designer Con 2017 in Pasadena! This includes two different painted editions of Craig Gleason’s The Ghoul sofubi. 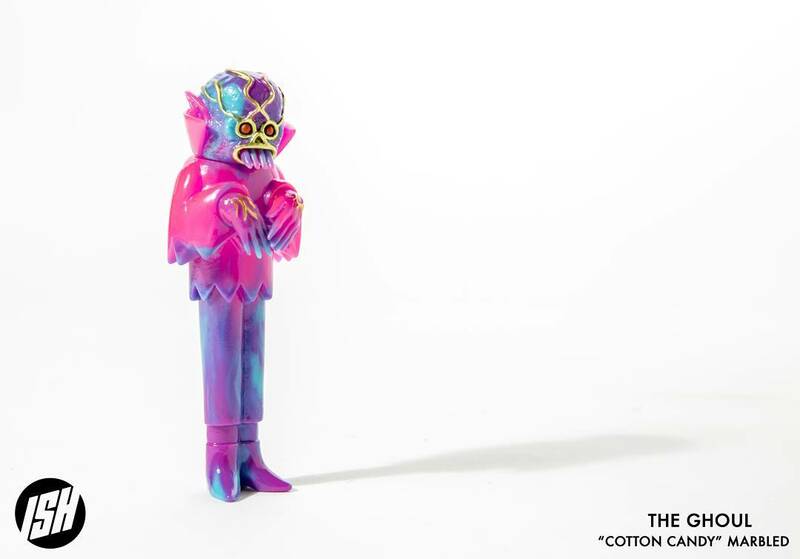 This “Cotton Candy” marbled The Ghoul with golden accents looks fantastic. 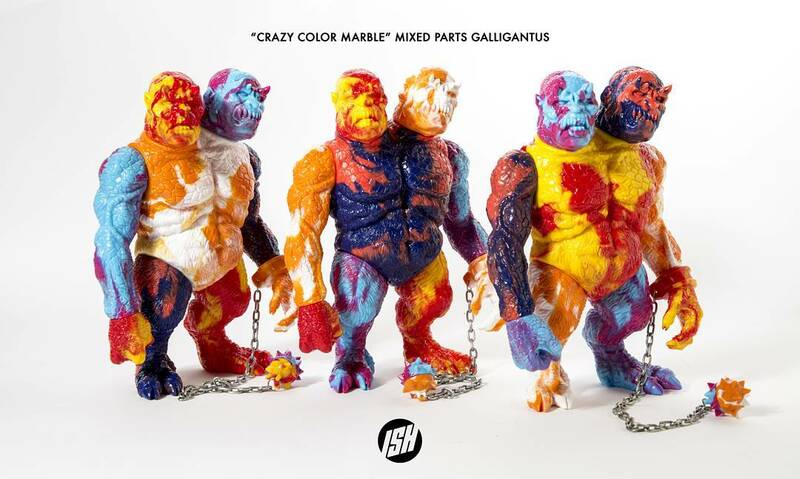 Additional Ishmael has painted up these epic “Ultimate Warrior” Galligantus vinyl figures, which are based on the iconic WWE Hall of Fame wrestler’s body and face paint. Last but not least are these Crazy Color Marbled Mixed Parts Galligantus. Each is mixed part marbled figure is one of a kind with no two alike. These will be sold blind bagged on a first come, first served basis. If you’ve been waiting to pick up one of 11” soft Japanese vinyl figures based on the Famous Monsters of Filmland creature this is your chance! The Blot really wants that Ultimate Warrior Edition. All of these figures and so much more will be available at Ishmael’s DCon booth #1201.